Traditionally a slower time, in "this economy" people are beginning to dread the summer months even more than usual. So are you planning for the worse, or ready to manifesting your best summer sales yet? While some people and businesses do experience a slow down in summer months, the truth is it doesn't always have to be that way. To everything a season, right? So some businesses are actually cyclical, they have a season that's right for what they are offering. But not all businesses are built this way, and even if they are, we create what our vibrational frequency attracts to us, so we never have to just live with what is. "Destiny is not a matter of chance; but a matter of choice. We'd like to think we're in conscious control, but often our choices are driven by the underlying negative energetic patterns we don't even know are there. Unprocessed feelings and beliefs that have long outlived their benefit are actually forming our decisions and therefore our results. Fear is one of the most powerful vibrational fuels we can add to our thoughts. It's corrosive, combustible and negatively "creative." It often creeps in through our passive acceptance of "what is." When we take the thought that summer is slower for sales, we can't help but begin to dread the inevitable. As the dreaded season nears, our feelings increase and that jet-fuel called fear is added to these thoughts. We actually launch the vibration of failure with more power than our desire for prosperity! Our intention to be successful is positive, but it's not broadcast nearly as loudly to the Universe and so we end up creating more and more of what we fear. And without being consciously aware of it, we miss opportunities, fail to follow through on those tasks that could be most fruitful and become our own self-fulfilled prophecy. One sales professional client, Sarah, just beginning to learn about Manifesting and Universal Laws begin to get uncomfortable, as usual, as the summer months drew near. This familiar vague fear began tugging at her newly polished positive vibration and threatened to drag her back down into "reality" again. But we began clearing away all the hooks that kept this experience anchored to her and she got to thinking that perhaps what she'd always experienced didn't have to be true. Her previous experience had been that the summer was slower and during her two-week annual beach vacation because her sales just stopped completely. In the past she'd always personally handled each account's requests and took great pride in the considerable personal care she gave each client. But some of her clients had ongoing business that really didn't change, and they required far less hand-holding. While she'd always been the one to take their calls, she realized that she could begin to manifest a different experience. So she worked on seeing the flow of her sales always moving along smoothly and increasing steadily. She concentrated on building an infrastructure that could help her process ongoing, simple orders. And she spent some of her time reminding his clients that she was always there to help, even when she was out of the office because her entire office was at their disposal. That summer she went away feeling wonderful and actually excited to see what would develop when she was away. If she returned to no sales, at least the previous months had been great and she still had the remaining weeks of summer to create more sales. She had nothing to loose. And in this detached state she returned to find, of course, that business had gone on as if he was "always there" with sales continuing in her absence! For the first time ever she had earned money while she was vacationing. In fact, she had actually earned more than the previous two months! Her boss began joking he was going to pay her to go on vacation from now on. Best of all, she reported that her vacation was the most enjoyable ever because this time she wasn't even worrying about her job in the back of her mind. Instead, she truly enjoyed herself and returned to work relaxed and filled with gratitude. Which of course, was rewarded with more reason to be even more grateful! The truth is it's not that slow sales during the summer months is the natural course of life, but rather the stuck energy we have in the form of our thoughts, feelings, beliefs and memories that hold us to this negative creation cycle. We're actually manifesting the sales slump! while everyone else is taking a siesta, I'll be scooping up the business left and right! my clients need me just as much, perhaps more, during summer as any other time! my clients love that my services don't slow down with the hotter weather! my clients are eager to do business and earn money, and so am I! many aren't on vacation, actually they're hard at work, and I will service those clients with eager enthusiasm! The challenge, of course is that we can't change our experience merely by reading about a new thought. If that was all it took, we'd probably have 3 self-help books, 1 sales book and so forth. We'd read the book, absorb the changes and voila...success. Without managing our energy to clear the hooks that held us to our former way of thinking and feeling, the new thoughts we learn in books and through seminars are merely a vague ideas. They won't take hold to help us create a new experience. Instead, frustrated and defeated, we'll end up wondering why these new ideas don't work for us. No matter what your past experience has been, you can always work to clear the stuck energy surrounding it and install the supportive, positive beliefs, thoughts, feelings and behaviors that will help you manifest a better outcome, a more successful result. My clients and students learn quickly to "practice on parking" for usually parking isn't a highly emotionally charged event. Sales is another terrific subject on which to learn and increase your conscious manifesting abilities. While especially if your entire income is dependent on commissions the emotional attachment can be very high, generally the stuck energies surrounding sales and the various processes involved collapse pretty easily, leaving us in a terrific position to blast through the old paradigms. And so as we shift our energies around the concept of sales, we'll experience a naturally occurring shift in our actions too which in turn, will create a new and more prosperous reality for us. Within just a few clearing sessions, clients often report not just feeling neutral about cold calling or even calling existing client, but actually feeling excited and happy to pick up the phone. Their eagerness and ease creates a new relationship, one that engenders trust and enthusiasm on the part of the client too. And that trusting enthusiasm results in increased sales. Calling isn't the only aspect of the sales process that benefits greatly from clearing. Everything from making strong presentations to happily processing paperwork in a timely fashion all serves to support a productive workflow, resulting in ever-increasing waves of abundant prosperity. Now are you ready to Soar Your Summer Sales? Learning how to apply the Living Harmony 3-Step Manifesting Formula to sales manifesting and clearing away the hooks that keep your energy stuck in your former reality is simply one of the most profoundly productive investments you can make. I offer my Living Harmony clients a uniquely effective powerhouse combination of cutting-edge energy management combined with with best-business practices honed over my many decades of sales and marketing success. Both individual and group tele-session programs are available and are tailored to your specific issues, for success doesn't come in a one-size fits all program. We must always clear our energy, not just some general ideas, if we're going to realize real shifts in our experiences. PS - Read on in this issue's Living Lessons to find out how to once and for all clear away another of summer's most dreaded challenges: manifesting real and lasting physical fitness. The truth is we have to BE the change we want to experience. For the more we notice whatever we're wanting that we don't already have, the more we're creating not having it. That's how the Law of Attraction, which is the flip side of the Law of Radiation, works. Law of Attraction looks terrific on TV. Set your intention, make your which and voila...the new car, that fabulous body and the terrific new love interest appears. But it's not so instantaneous in most cases. It's more of a process. And ebbing and flowing, building energy until the tide finally fully rushes in and we have that which we intended to create in the first place. Our vibrational frequency sends out a message to ourselves and the Universe drawing back to us more and more experiences that cause us to observe more and more of what we want. We all know that diets and exercise programs work for some, but the majority of people waste countless dollars, hours and tears over trying to create weight loss or fitness. As we age or are confronted with injuries and illness, it gets even more difficult. There must be something missing from the equation the fitness and weight loss industries are presenting. That missing something is the vibrational frequency, the energy signature that they are emitting and transmitting. In technical terms they have "reverse polarity" and which means try as they may, the weight may budge back and forth, but true fitness they won't realize. Just the other day I watched as the majority of the past winners of a famous TV weight loss competition show have not only gained the weight back, they are even more miserable and sad than ever before. They're even more unhealthy too. Why were they able to achieve 100 lb. weight losses only to gain it back? They had reverse polarity and their systems simply MUST return to the weight and fitness level that is their vibrational signature. When I hurt my back over a decade ago, it may sound silly but the thing I feared the most was not that the doctors told me I might likely become fully paralyzed, I was horrified to consider that with all the drugs and lack of movement I might become obese. I knew the physical pain would increase, but the emotional pain would be unbearable. And it was. As my weight passed over 160 lbs I was so scared and sad. But then I realized that this LOA stuff really works and perhaps I could use it to create first weight management and then loss. One of the biggest things I HAD to clear was the connection between extreme (heck, any!) physical movement and my loosing weight. The reality is that while movement is healthy, there are plenty of people on the planet who remain thin and never really engage in physical activity. As I began to dismantle my stuck energies, the weight really did begin to stop and then release. As it released and I continued clearing the stuck energies around weight and the injury, I was able to do simple things to help myself on a physical, tangible level. And all combined, eventually I returned down to a nice size 6 and without killing myself, starving to death, nor taking a host of toxic detox substances. As we clear through the beliefs, feelings, thoughts, memories and traumas we have around the subject of our bodies, and learn to install the positively supportive ones we need in their place amazing changes can take place in seemingly magical ways. Exercise not only becomes fun, but we find ourselves enjoying activities throughout our days without struggle. We can not only still eat ice cream, but we find that we're actually interested in eating the good stuff too. Small changes like drinking water with the proper salt/mineral ratio including in our diet help us properly hydrate. Valerie Bertinelli did say it best when she described waking up that first New Year's after she lost the weight realizing she didn't have to think about resolving to fix her weight issue once again. She had become the change she wanted to be, and in so doing, she realized the true intention of her heart. Our true intention is not to continuously waste more money and valuable time, always seeking out the hottest new fad. If we knew how to make all those programs work for us, we really would get out there and just do it. The LH Loose the Weight, Gain Your Life! jump-start program can help you finally clear the stuck energy that makes it impossible for you to work those programs and get the body you desire. Living Harmony teachs you to BE the change you want to live. You can start learning how to Manifest in Living Harmony just by reading the Living Harmony web site. Learn how to Loose the Weight, Gain Your Life! 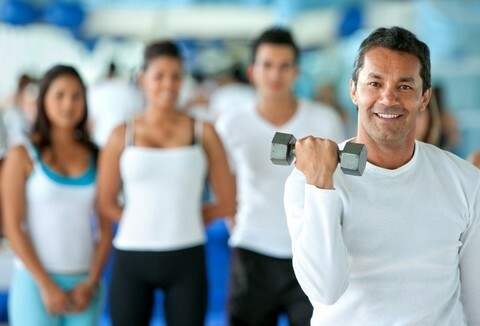 with this seriously effective and incredibly supportive 9 session program. Stop doing what doesn't work expecting this year to give you a different result. Learn to clear the stuck energies that keep you in patterns you don't desire, and in so doing, grab hold of the power you have to manifest your desires. Did you know that mosquitos HATE the smell of lavender? Just a few drops of nature's amazing little toolkit and they simply vanish from your experience. It takes the sting out of sunburn instantaneously too. And best of all, while the calming effects are lovely, there are no chemical side effects for any of it's uses. The list of summer oil uses is endless. Start your own summer kit with the oils featured below, and look at the Living Harmony web site for more information about using these tremendous tools to help you enjoy all the seasons! And remember, using the power of nature's fragrant molecules to release the stress of everyday problems, for love and business...in matters big and small...aromatherapy can be used on its own, but when combined with other healing modalities such as EFT, these powerful essential oils increase the effectiveness creating supercharged clearing and release. Here are just a few of the amazing essential oil blends I keep on hand to help me clear away and sooth all the challenges presented by summer fun. Click on the images below to read more about them, other supportive products and to order yours today.